Southwold is a small town on the English North Sea coast in the Waveney district of Suffolk. It lies at the mouth of the River Blyth within the Suffolk Coast and Heaths Area of Outstanding Natural Beauty. The town is about 11 miles (18 km) south of Lowestoft, 29 miles (47 km) north-east of Ipswich and 97 miles (156 km) north-east of London, within the parliamentary constituency of Suffolk Coastal. The "All Usual Residents" 2011 Census figure gives a total of 1,098 persons for the town. 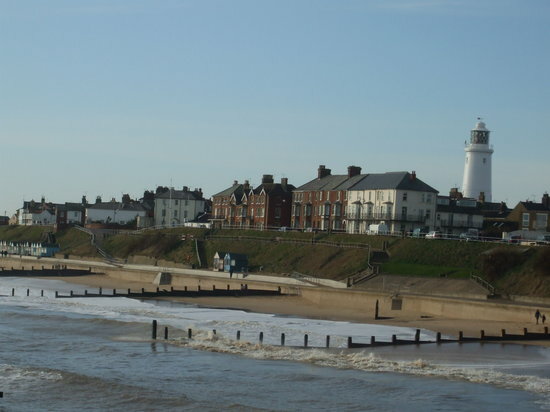 The 2012 Housing Report by the Southwold and Reydon Society concluded that 49 per cent of the dwellings in the town are used as second homes and let to holiday-makers.